This floral still life is done in oils and such a lovely composition.Soft yellows and greens,oranges, and blues make this a nice painting for you. 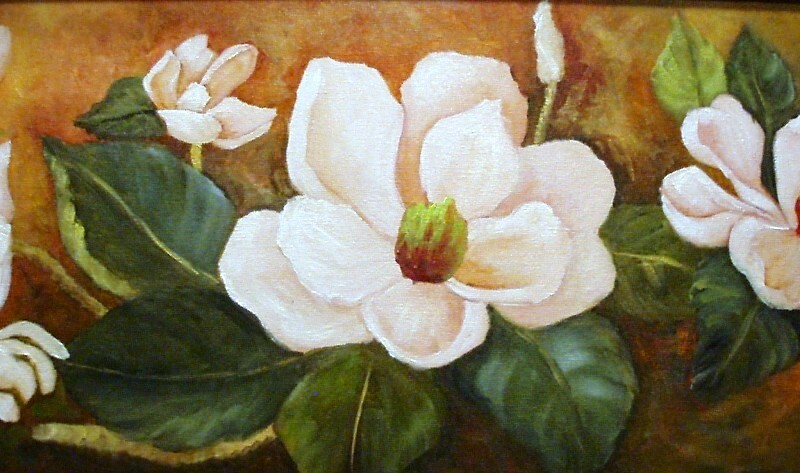 The painting measures 16″ x 12″ and comes framed in a simple black frame. 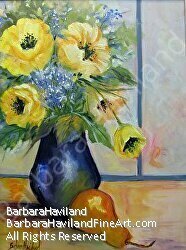 The yellow poppies and blue flowers that are sprinkled in are in a blue vase.